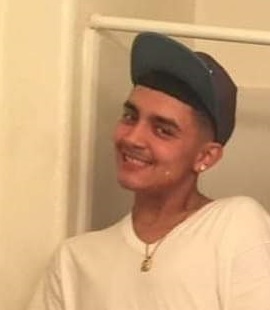 Anthony D. Chavez; 18, born May 10, 2000 to Steven Chavez and Priscilla Rodriguez of Albuquerque, NM passed away suddenly on Sunday, November 4, 2018. Anthony was an avid Dallas Cowboy fan who enjoyed sports. He played basketball for Washington Middle School and I.T.T. Charter school and had such a talent for it. He loved music, playing the guitar and was a Mariachi which began at Washington Middle School. Anthony was the peacemaker of the family knew how to uniting them. He walked into a room and lit it up with his beautiful smile and hazel green eyes. He would make everyone laugh and feel comfortable. Children were drawn to him and he loved them. Our hearts are shattered at the loss of our beloved Anthony. He will be greatly missed by all who knew and loved him. Services will be held in Anthony's honor Monday, November 19, 2018 at New Beginnings Church of God, 3601 Montgomery Blvd. NE (corner of Carlisle); 10:00 am Visitation; 11:00 am Memorial Service. Internment to take place at a later date.